Aubrey Mast is an Intuitive, Health Coach, Herbalist, and Wellness Chef dedicated to helping people root into their bodies and into their sovereign self. She has helped thousands come back into their bodies with nutrition, self-care, and intuitive practices. Aubrey Mast and Susan Grace co-host the rapidly growing, internationally followed Be the Evidence podcast available now at http://betheevidencepodcast.com/ and all platforms where podcasts are streaming. We’re talking about bringing astrology into your daily life, bringing it back down to earth, and, as is Aubrey’s expertise, bringing it into the body. People will have heard you and I speak before on your podcast, Root Rising. But you have a new podcast with Susan Grace. Tell us about that podcast. Yeah, so we have a brand new podcast that's called Be the Evidence. We just pushed out our 20th episode this morning and it is a blend of my strengths with working with clairvoyance and clairsentience, clairaudience. I'm able to hear and see images come to me and they typically are in relationship to the body and a lot of times colours. And then I meet that with Susan Grace, who's an amazing astrologer. The way that we look at it is, this is a beautiful way we blend the conversation about the mind and coming into the body. So it's very stars to root feeling. The podcast is all centred around this theme of being that evidence. I think for us, that means walking the talk. Like, if we are all in this movement towards collective consciousness, and doing our work, and showing up more embodied and more as infinite as liberated individuals, not only for ourselves but for society. There's some level of evidence that we have to walk on our day to day being. And so, this is a podcast where we explore those conversations in a very real talk way, like you just stumbled into our living room and Susan and I are having this really raw conversation of like, Oh, yeah, things have been really hard and this is how I'm moving through them. So you'll get pieces of astrology that's real time, and you'll definitely get pieces of wellness information within it. Tell me a little bit about your background. You're working on a Ph.D. I kind of want everyone to know where you're coming from and how seriously you take this mind-body connection. Yeah, so my Ph.D is in mind-body medicine. So far, it looks as if I'm going to be focused on the gut microbiome and how it relates to psycho-neuroimmunology, which is really a beautiful way of saying how the bacteria that is found all over our bodies, and in our environment, impacts the energies that we're exposed to. And that plays a role in our consciousness but also in our thoughts that we have and our overall wellbeing. But beyond that, my master's was in Public Health. I focused on nutrition. My undergrad was in health and wellness promotion. I'm an herbalist. I am also a chef. I'm a holistic health coach. The last 15 years of my career has really been focused on healing the body. And it seems like within the last 2 or 3 years, especially since I was doing my work with you, that it's become more of this intuitive-based practice, where it's not just about physically healing the body. It's also about consciously healing the thoughts that we think, because they dictate how our cells react and respond in our bodies. They dictate how our genes respond. So I'm really viewing it from a holistic level of healing from cells-forward, if that makes sense. How did you hook up with Susan? In the age of social media, this is like, the complete thing. You and I have had this conversation before too, I think. Of like, all of a sudden, somebody recommends somebody, or somebody shares somebody's post. So, 3 years ago, somebody shared one of her posts and I had viewed it and I was like, Ohmygosh. This is really pertinent. Because she posts with a finger on the collective consciousness for the day. She does daily astrology readings that are specific to the collective consciousness. So I had followed her through Facebook, because every time I checked in to her posts, day by day, they were right on the mark with what was going on in my world. And then this is how it panned out. I just want to say, like a quick shoutout to Susan by the way, because her ears are totally burning right now. We're talking about her, and, Susan, I've had recommendations to interview you, so now I feel like I need to immediately, as soon as this conversation is over, get in touch with Susan and have her come on and talk about astrology. Because astrology is definitely showing up as a theme this season for my interview guests. So tell me how you guys blend this astrology information with the wellness and lifestyle choices and healing information that you're working with. Yeah, I think that's really such an important question, honestly, in a sense that, for anybody that's new to astrology, it is its own language. I know you've experienced this in how you teach in Automatic Intuition. There's that section where you speak about astrology and how to make it more simplified. But it's its own language. And I remember coming out of my first reading with Susan and just being completely blown out of the water. Not only was she poignant in what she was talking about, but I was automatically exposed to this language I had no idea what the hell any of it meant. Grand trines and retrogrades and things like that... I had heard these terms thrown around but I did not understand how that applied to my day to day world. I knew that it was part of a subset of language that I was trying to grasp at. So Susan and I had had this conversation of, the information and where astrology is just so pertinent, because it's a visual element. It's a visual map of what is going on, moment by moment. The beautiful thing I think I found about it was that she was like, I don't know how to make it land. Sorry Slade, I'm being interrupted by my son. Thank goodness you can edit this out. We could also just talk to him. He can be part of the interview if necessary. Honey, you want to say hello? You can say, Hi Mr. Slade! I often say, I didn't do a lot of the pre-show stuff because I've talked to you before. But one of the things I was gonna say is, if anything happens, we can always cut the show or if we get disconnected, or whatever, and it's fine! I've had instances where my cat's beat the door down and I had to get up and be like, Excuse me for just one moment while I let the cat in. At this point, I'm almost thinking that we should just leave that stuff in. I may not or I may. If something ever really funny and interesting happens, I will absolutely just leave it in. Yeah. Because, I mean, the point of this show is really to kind of eavesdrop on the cool conversations that I have with people, and I was listening to Be the Evidence podcast that you do with Susan and it felt like that. It felt like I was sitting at a table at the cafe, next to an astrologist and her girlfriend who is super knowledgeable about wellness stuff, and you guys were breaking it down. Sort of what you were observing in your, what was happening in your life and she was talking about it thematically using astrology as a language. And I just want to say, this came up also in my recent interview with Dena DeCastro. We were really stressing that this is an archetypal vocabulary and it's very useful from that perspective. Even if you take out all the predictive stuff, and the forces in the sky and all that, I was even thinking about the fact that we can use the language of astrology just as any magazine does. You know? Magazines always have this sort of seasonal lifestyle kind of focus, right? Like we shift gears during certain times of year because of the seasons and we tend to focus on different types of activities or different things in our body, depending on what's going on in the environment around us. And so I'm completely okay with saying, You know what? You can debunk everything there is about astrology, which, then I'd want you to go get a reading and then realize it's kind of hard to do that. We could just take it out and say, This is an excuse or an intention for us to focus on this particular theme at this moment. And it would still be incredibly valuable just from that perspective. So give me an example, like I was listening to your show a couple of weeks ago about Virgo energy and how that impacts your daily life, like you said. So give me some examples of how you guys use the themes of what's going on astrologically and then apply that to the 3rd dimensional world. Yeah... I think that's a whole piece of, How do we make it land? I think from being in this field where it's intuitive, right? And I like to be in my Ph.D where it's mind body medicine and a lot of the stuff is not tangible. We can't see it in a lot of ways. How do you make it land and make it become tangible, is always the question of, how can you create a storyline so that people can see it resonating within their lives? So that I can see it resonating in my own life. We just recorded last night and it was a... we're in a lot of Scorpio energy right now, which, thankfully, or not thankfully, I don't know what way you want to look at it, Susan and I are both very, very much in our Scorpio energy, so we can come off as very intense. But for people that are not comfortable in that, it can come off as so intense that it's overwhelming. There's that deer in headlights look, like, I don't know what to do with this, this is a lot. It can look kind of chaotic. Right now the hurricane's hitting and it's sort of that feeling, right? The way that we explore this is to talk about, well, these are the ways that it's coming up in our world. And how do you make it land? So if we're dealing with lots of intensity and lots of chaos. And there's lots of transformation and liberation, that can feel like anxiety a lot of times, and stress a lot of times. So the way that I like to always take it back to the body is, how do we bring these bigger themes into our day to day lives? If we're experiencing lots of anxiety and lots of stress because we're also experiencing lots of intensity in our day to day lives, then it's important to recalibrate our bodies. It's important to calm our systems down. The other day I did a float tank and I got this download about how important it is to drink adaptogens right now, which help us manage stress. They help our body adapt to stressors. That's one of the ways that we explore... like, okay, if you're dealing with intensity and anxiety, this is one of the ways that we can calm our systems. We can also go out into the woods. We can sit and drink a cup of tea. We can have a beautiful conversation like you and I are having. That's very intentional. And to focus on those tactics while we're aware of these bigger themes as a way to land the information into our systems, but without coming from a place of reactivity. I think that's the bigger point for me with astrology. Astrology is almost shining a flashlight on what's happening, and then we get to choose, how do we respond to it? Mmm... yes. I love that. I have tons of Scorpio in my chart, by the way. That makes sense, why we get along. Yeah. I'm a Leo with a moon in Scorpio and a rising sun in Scorpio. So I do attract Scorpio energy and I always say, Scary people don't scare me as much as they do other people. I can handle the darkness. Bring your darkness! And you know what? It's crazy though, because I notice when things are really intense and kind of negative, I am much more likely to have good conversations with my Scorpio friends. They seem to have an ability to absorb that negativity, or to filter it in such a way that they don't hear it as like, Oh you're bitchin' and complainin'. You're bringing me down. You know what I mean? Like they almost settle in and resonate with it. I find myself feeling more liberated in venting to someone with that kind of energy. So I don't know if... it's like, it's an instinctive thing and one of the things that I think is kind of interesting about astrology is I often find myself reacting to some kind of vibe that's going on, trying to adjust, like you said, and make these changes that are intentional and healthy and all that kind of stuff. And then I'll find out, while it's going on, or even after the fact sometimes, that there was this astrological phenomenon that I go, Oh, okay! Well that makes sense. That's what that was about. One of the things I think is really fascinating is how little you have to pay attention to it to still kind of be in it, a little bit. The other day I had that and a little bit of a tiff, was feeling really worked up and stunned. My words being very reactive. And then I had reacted, completely. I was a human and I was just reactive, right? And then later on, was like, What?? What WAS that? Why was I so reactive and sharp with my words? And then I had gotten on Facebook and I had seen that Susan had posted a Happening Now, and it was, Don't fly off the handle. You're going to get real agitated right now. And had listed the placements in the astrological chart for that moment. And I was like, Oh! This is what was happening at that time! But it was playing out in my real world and I was not aware that it was like actually, it had correlations with the planets. Oh, I hate it when that happens. When you literally read the astrological post 12 hours after you should have seen it, and you're like, Oh no! I just did the very thing that they told me not to do. I also, though, I think one of the things that's interesting about the predictive stuff is, sometimes I'm more interested in what is happening now in astrology. Like if you say, You know what, we're in a new moon right now. Or we're in a certain kind of moon phase, or Mars just shifted, something like that. Rather than projecting too far down the road, because I think sometimes knowing that, Oh you're going to have challenges in your social life and your relationships in December, it's kind of like, Ugh, I don't want to manifest that or contribute to that in some way and make it true. Therefore I have this tendency to kind of blind myself from some of the predictive stuff sometimes, and I know that sounds weird, but it's like, I don't even want to know. Because I don't want to curse myself in any kind of way. Because I know that, it's not like by knowing that there's gonna be a certain phase happening astrologically, that you can somehow magically avoid that. It still happens and you still kind of have to deal with it in the moment. So I kind of keep my focus a little bit more narrow. But I am interested and aware and I do sometimes, like you guys saw me in the group, when we were launching the Shift Your Spirits community, and everything was in retrograde. And I was like, Okay, well this is not the time to launch. When does it all start to open up again? And I went and sort of looked at when everything kind of had a forward motion to it and picked a date accordingly. Now, for me, I often try to pick dates around moon phases, like start something with a new moon, so that I can be in those rhythms. But I also feel like, philosophically, it gives me a structure to something that might ordinarily be a little bit chaos. If you're running around, kind of wondering, when do I do this? When do I start this? I'm managing multiple platforms online and it can all feel a little bit like plate spinning. And you're just sort of running around like putting out fires. So, for me, sometimes I use the astrological calendar and events as a way of just kind of putting some bookends around things. It makes me feel like it's more organized. Like I have a sense of when something starts and when it comes to fruition. The cool thing, for me, about moon phases is, they constantly restart. It's like, every month is a new opportunity to kind of, Okay, try again. New thing. New project. Yeah. I think that's so important. Since I'm in the bodywork, right? That's also how our cells work too. Our skin cells slough off and then we have new skin cells replaced. We're constantly going through this ebbing and flowing, whether it be from the moon or whether it be from our bodies regenerating ourselves. So we constantly have this ability to come back and give ourselves a framework on which to move around within. And I think we all just choose varying tools to use. I agree astrology helps to give some framework, but I also tend to veer away from any of the predictive qualities. But I also think that's because of my background of where I'm like, Well if we're gonna all walk through it, I would rather walk through it completely unbiased, and see whatever exposes itself, whether it be good or bad. And try to show up with as much grace as I possibly can. It's really interesting for me, working with Susan in a sense that, I've been with her now, in some capacity, for years and it's almost like my brain doesn't quite want to wrap around the language of astrology. I can get the thematics of it but I have a hard time keeping up with the actual vocabulary. I feel like if I was ever given a vocabulary test on astrology, I would probably get a D. Like, I can't. Even though I sit with an astrologer every week, multiple times a week. Oh, I might get a C+ at best. But then it's so fascinating to me that I can be intuitively aware of the energies that are going on. I just might not be able to vocalize, Oh, this is because this just clipped in to this degree. Or this is because there is a trine there. Like, I don't have those words, but I can sensationally and visually see and feel what is happening. And I find that really fascinating. I feel like you're kind of the one who's grounding it in the body a little bit, and she's the one who's giving us the kind of overview, the magical perspective. It's a really cool concept because if you listen to all that astrology vocabulary coming at you, and especially if you don't know what the heck they're saying and what they're talking about, it's like, What do I do with this? I like the idea of having some place that we can go and listen to the astrological information. But you're there as the kind of the person who's representing, for those of us that are like, Okay, what the heck do I do with that? What kind of choices do I make? So you guys are kind of, you're not necessarily speaking specifically about your own personal astrology. It is a little bit more general, right? For the whole audience that's listening. Things that are affecting ALL of us. Susan pulls up the chart for the collective. We don't ever pull up a chart for us personally. It's for the collective and that's how she always reads, until she's in private readings. And I think, I just think that piece is so important. Especially when I... I've had several people reach out to me that are like, I don't know how to begin on my intuitive journey. And I know this is part of the reason YOU do the work that you do. Because you've got these requests as well. Figuring out how people... The language that we respond to, for me, in my world is, the language of our body. Oh I feel tight. I feel inflamed. My stomach's upset. I'm craving pizza all day long. Or I'm so tired I can't get out of bed. That's the language that I respond to. And then behind that, I have lots of visuals that tell me things about what's going on. And so, to me, that's how I'm able to communicate to people. Like, this is how you cultivate intuition and to your point about, if you just listen to somebody do a whole astrology, you can easily get blown out of the water and not know how to make it pertinent. But I also think that's so much inundated in the spiritual community, as we get further out into the conversations about 5D realities, or 11D realities. People can get very easily lost. And if we're coming at it with a goal of, Let's just elevate consciousness collectively, let's just all figure out how to be living our optimal lives and elevate one another, then I think we have to figure out how to speak that language at a very intuitive, but basic, understanding. Almost every single person who does come into my practice asking questions about connecting better, feeling disconnected from their intuition, and how to hear their inner wisdom, all that kind of stuff. Also the people who are in a phase of their life right now where they're absorbing everything that we're putting out. They're in a real intake kind of moment. They're just gorging themselves on all this stuff and it's all coming in. And they're trying to make sense of it and figure out where to put it. It's interesting that you said, for you it always comes back to listening to your body because the advice that I find myself giving so much is about grounding. Every time someone comes to me with an upper level chakra freakout, and what I mean about that is, if you are in your intellect, if you are spiritually questing, if you're constantly practicing psychic techniques or trying to increase your intuition, all that kind of stuff, it's all happening heart chakra and above. So there's this real top-heavy energy that's going on. People come in and they look frazzled. Their energy, to me, looks like a tornado. It's literally very narrow at the bottom and wide up top. It's like spinning around. And that's what they feel like! They feel like they're literally inside a tornado. The thing that fixes that is always to ground. To go all the way to the bottom and then come back up again. It stumps a lot of people how, Okay, if I'm trying to turn on my third eye, I'm trying to turn on my clairaudience, I'm trying to hear my Higher Self, how does walking barefoot actually do that better than meditating or listening to a guided session or something like that. I just find that for me, the stuff that feeds and electrifies and powers the magical stuff is always these really, really simple, physical, real world things. And I am not going to be happy if I'm running around, having visions and hearing voices and all that all day long. Just like with the breath and the waves and the ocean, you have to have these moments of exhalation, you know what I mean? And there has to be pause in between. And so, for me, the one thing that I see everyone doing, as they're trying, trying, trying to be better, is, they are over-complicating it. It's okay to swing into that complexity and into that intellectual rabbit hole, like go there and listen to some crazy stuff, and wow man, get philosophical about it. But then come back to the body. There's gotta be rest. There's got to be a centre. You can't do all that work dehydrated with no sleep and lots of stress in your life. You just can't. No. You'll burn out and then you'll feel very untethered to the reality, which I think that that's probably for me, one of the biggest requests that we have when we're embodied in this life particularly, is how do we become intuitive, realize our intuition, realize our consciousness, evolve and elevate ourselves while equally grounding into this physical vessel that we are also carrying. What do you hope to contribute to the conversation about wellness and intuition and astrology? You obviously represent someone who is bridging a lot of magical concepts with physical concepts. What do you hope to teach everyone? 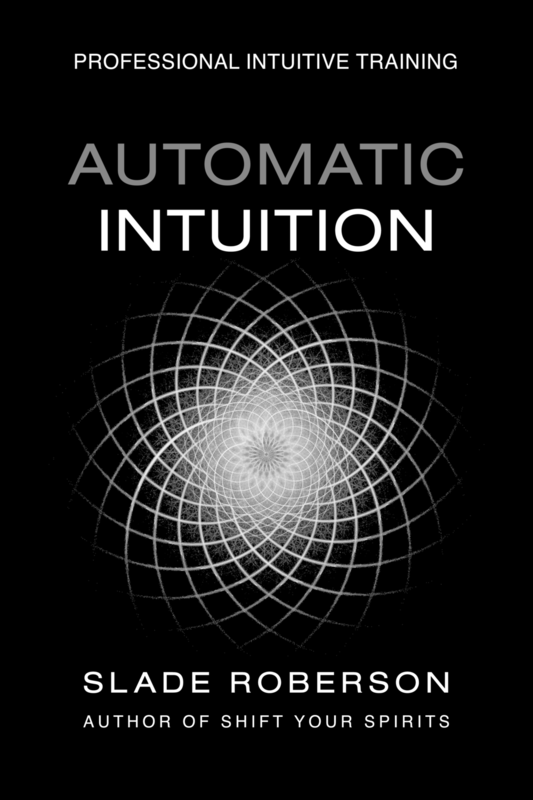 I think sort of similar to what you just mentioned about people making intuition harder than it needs to be. That I truly hope to teach people that living optimally, whether that be mentally or physically or emotionally or spiritually or socially or financially, and you have these tenets of wellness, does not have to be unattainable. It is all within our reach. Does it require some pivoting and lifestyle changes? Absolutely. Does it require us to dig underneath our stuff and see where we have limitations and barriers? For sure. We have to look at a lot of places where we've held ourselves back, but that doesn't mean that we all don't have the ability or the right to feel optimally well in all areas of our lives, whether it just be from the food that we're eating, or the company that we're keeping, or the way that we're creating, or the work that we're doing in the world. My hope is to be the voice of, We all have this opportunity to be completely liberated in all aspects, and we don't have to succumb to not feeling well in our finances and our physical body, mentally, emotionally. There can be upsets, but we all have the capabilities of writing that in a different story line. Aubrey, this is so cool to talk to you about all this stuff. Thank you for taking the time to speak with me today. Tell everybody where they can go to find you online and to find this podcast that you're doing. Yeah, thank you, Slade. I love being with you. It always... It fills my cup up. It really, really fills my cup up. Always. Susan and I's podcast is on Be the Evidence, and we are on iTunes and we are on Spotify and Stitcher. So you can find us anywhere, but we also have BetheEvidencepodcast.com That has all of the podcast available on it, and we are in the process of launching a brand new platform for all of the things that I've spoken to you about today. That, hopefully, will be live in the next month. So that would be the best place to find us. And we're also on social media, so on Facebook and Instagram and all of those platforms for the time being. Awesome. Well tell Susan that I want her to come on and talk to us about astrology, since this astrology theme is going strong. Once again, thanks for being on the show. Absolutely. Thanks for having me, Slade.